Running in Taipei, Taiwan. 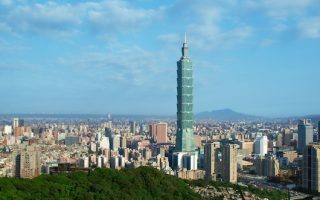 Best routes and places to run in Taipei. 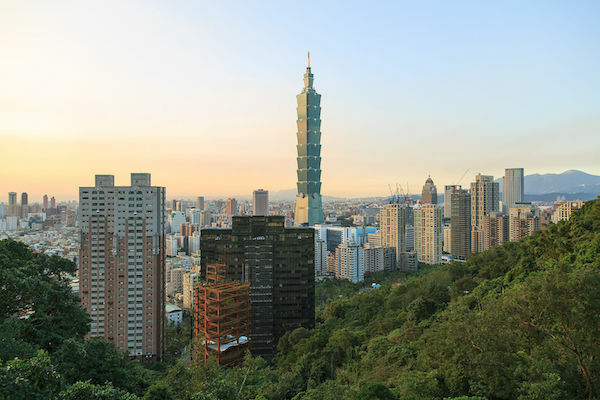 Part of the enclave of New Taipei City, Taipei is the political, economic, educational, and cultural center of Taiwan, and one of the major hubs of East Asia. 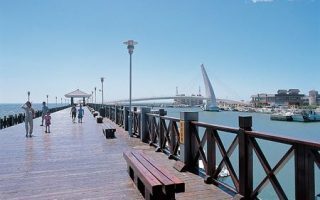 The geography is interesting, as the city lies in the Taipei Basin, bordered by the Xindian River to the south and the Tamsui River to the west, with Qixing Mountain and Mt. Datun rising to the north. Despite its being one of the most densely populated cities in the world, there is good running in Taipei, and a great running culture, with multiple river paths, some nice parks, and challenging, hilly trail running nearby. 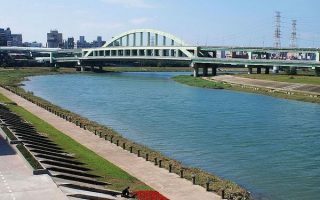 The best places to run in Taipei are along the extensive paths along the Tamsui, Jingmei, and Keelung rivers. 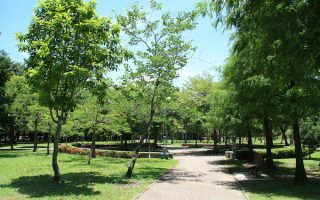 Daan Park and Metropolitan Park are two centrally located oases for running. We’ve also put together suggestions for running in the Xinyi and Zhonhshan Districts. For some great hills and trail running, head to Jiannan Rd. 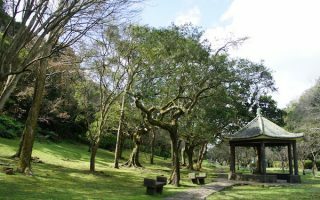 and Yangmingshan National Park. A note about street running in Taipei: the big streets have long lights, so best to run early; while the smaller streets don’t have sidewalks — be aware of scooters! The good transport system, consisting of the MRT subway, light rail, and bus lines, makes for easy access to most of our routes. Note that Taiwan’s weather is hot and humid in summer. It’s air is much better than many other east Asian cities. Our thanks to Karla Mei Robertson, who has spent a lot of time in Taipei, for her help with our Taipei running guide. 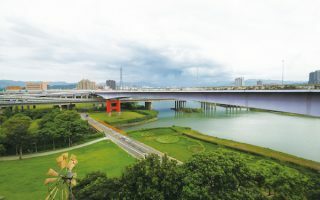 One of the signature river runs in Taipei. Nearly 10 km of seamless paths on both the north and south sides of the river, passing through several parks, with several bridges that can be crossed to form loops of varying lengths. Excellent running paths along both the right and left banks. Good water views much of the way, and it’s great for sunrises/sunsets. On the right bank, 9 km from Yanping Park to Shezi Island. On the left bank, 4 km from Taipei Br. through Tamsui Riverside Park. Scenic waterfront running along the Tamsui River in the northern part of Taipei. There are options on both the east (Tamsui) and west (Bali) sides, using the Guandu Bridge as the anchor. Dedicated path nearly the whole way. Pleasant riverside running path, for 6+ km from Jingmei Riverside Park to National Chengchi University. There are several parks and a couple of pedestrian bridges along the way. 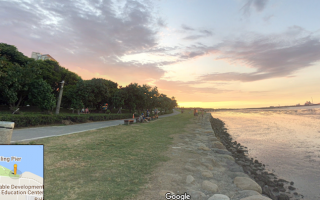 A great opportunity for a longer waterside run through a series of riverside parks stretching for 8+ km, binding the Tamsui River in the Sanchong and Luzhou Districts. Good variety of landscaping, paths, waterside sections. This is a part of Taipei that has many popular sights and also some excellent running options. Run west along riverside parks toward the Fine Arts Museum, or east for up to 4 km. Hillier and narrow Jiannan Rd. is also a good option. A 'runseeing tour' of the busy Xinyi District, on sidewalks & pedestrian plazas. Sights: Taipei 101 building, Convention Center, World Trade Center, and the National Sun Yat-sen Memorial. And/or, the steep & scenic Xiangshang Hiking Trail! 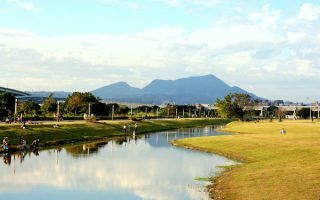 One of nine national parks in Taiwan, sitting between Taipei and new Taipei City, and accessible via public transport. Generally hilly and challenging! We've highlighted a few of the 'pedestrian' trails that are most suitable for running. Taiwan’s humid subtropical climate must figure into your running plans. In summers, it is very hot and humid, with average highs near or above 90F (32C) from May to September. Heavy downpours can happen at any time. November through April is great for running, with daytimes generally in the 60s (16-19C) and lows dipping into the 50s (13-16C). It’s also a lot drier. Note that fog can be prevalent in winter. Since Taipei is a major business and tourist destination, there are lots of accommodation options. Hotels near Taipei 101 offer good access to the river. Good options are the W, Meridien, and Aloft Beitou, all of which offer access to good running. 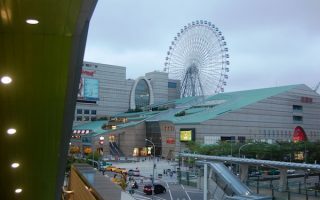 The main running apparel companies have stores in Taipei. See our overview map for the numerous locations. The two Lululemon stores in Taipei offer regular group runs and have a Strava club. The Runivores are a running nutrition company who like to run…and the lead a weekly 2 hour river run Tuesdays, meeting at the Pipe Bar Riverside near the Gonguan MRT Station. They also do a monthly riverside 5k. More info. The Lululemon stores in Taipei offer group runs and have a Strava club.